Historical fiction can either be wonderful or leave you lost. In this case, I'm voting for wonderful. The story was one that could have been set in any time period, but fit perfectly right where it was. The secrets were ones that could have destroyed people during that time period, but were ones that perhaps most of us could relate to, no matter the time period. 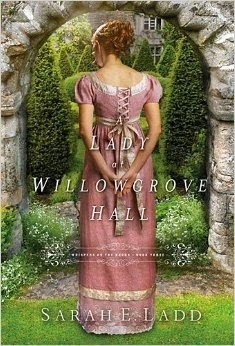 The imagery was wonderful and more than once, I wanted to curl up in that walled garden and enjoy its beauty while I curled up with a good book.